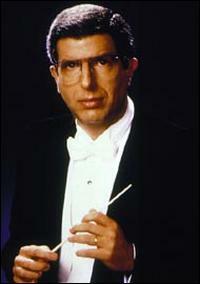 Marvin Frederick Hamlisch (June 2, 1944 – August 6, 2012) is an American composer. He is one of only thirteen people to have been awarded Emmys, Grammys, Oscars, and a Tony (those four together are known as an EGOT). He is also one of only two people to EGOT and also win a Pulitzer Prize (the other is Richard Rodgers). Hamlisch has also won two Golden Globes. Hamlisch is the composer of many motion picture scores, including his Oscar-winning score and song for The Way We Were and his adaptation of Scott Joplin’s music for The Sting, for which he received a third Oscar. His prolific output of scores for films include original compositions and/or musical adaptations for Sophie’s Choice, Ordinary People, The Swimmer, Three Men And A Baby, Ice Castles, Take The Money And Run, Bananas, Save The Tiger and his latest effort The Informant! (2009) starring Matt Damon, and directed by Steven Soderbergh. Although Liza Minnelli’s debut album included a song he wrote in his teens, his first hit did not come until he was 21 years old. This song, “Sunshine, Lollipops, and Rainbows”, was sung by Lesley Gore. His first film score was for The Swimmer, although he had done some music for films as early as 1965. Later he wrote music for several Woody Allen early films, such as Take the Money and Run. In addition, Hamlisch co-wrote the song “California Nights” with Howard Liebling, which was recorded by Lesley Gore for her 1967 hit album of the same name. The Bob Crewe-produced single peaked at number 16 on Billboard’s Hot 100 in March 1967, two months after Gore had performed the song on the Batman TV series, in which she guest-starred as an accomplice to Julie Newmar’s Catwoman. Among his better known works during the 1970s were adaptations of Scott Joplin’s ragtime music for the motion picture The Sting, including its theme song, “The Entertainer”. He had great success with The Way We Were in 1974, winning two of his three 1974 Academy Awards. He also won four Grammy Awards in 1974, two for “The Way We Were.” He co-wrote “Nobody Does It Better” for the 1977 James Bond film The Spy Who Loved Me with his then-girlfriend Carole Bayer Sager. (John Barry was unable to work in the United Kingdom due to tax reasons.) He also wrote the orchestral/disco score for the film, which was re-recorded for the album. The song went on to be nominated for an Oscar in 1977. In the 1980s he had success with the scores for Ordinary People (1980) and Sophie’s Choice (1982). He also received an Academy Award nomination in 1986 for the film version of A Chorus Line.In 2003 Hamlisch appeared in a cameo role (portraying himself) in the film How to Lose a Guy in 10 Days. 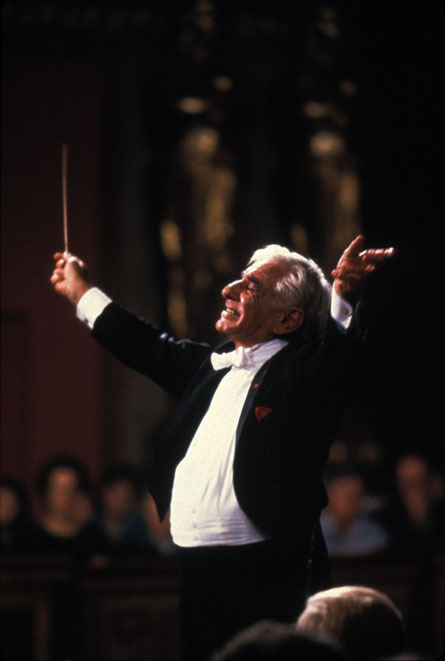 Leonard Bernstein ( /ˈbɜrnstaɪn/ US dict: bûrn′·stīn; August 25, 1918 – October 14, 1990) was an American conductor, composer, author, music lecturer and pianist. He was among the first conductors born and educated in the United States of America to receive worldwide acclaim. According to The New York Times, he was “one of the most prodigiously talented and successful musicians in American history. His fame derived from his long tenure as the music director of the New York Philharmonic, from his conducting of concerts with most of the world’s leading orchestras, and from his music for West Side Story, as well as Candide, Wonderful Town, On the Town and his own Mass. Bernstein was also the first conductor to give numerous television lectures on classical music, starting in 1954, continuing until his death. In addition, he was a skilled pianist, often conducting piano concertos from the keyboard. As a composer he was prolific, writing symphonies, ballet music, operas, chamber music, pieces for the piano, other orchestral and choral works, and other concert and incidental music, but the tremendous success of West Side Story remained unequaled by his other compositions. Arthur Fiedler (December 17, 1894 – July 10, 1979) was a long-time conductor of the Boston Pops Orchestra, a symphony orchestra that specializes in popular and light classical music. With a combination of musicianship and showmanship, he made the Boston Pops one of the best-known orchestras in the country. Some people[who?] criticized him for over-popularizing music, particularly when adapting popular songs or edited portions of the classical repertoire, but Fiedler kept performances informal and sometimes self-mocking to attract a bigger audience. Fiedler was born in Boston, Massachusetts to Emanuel and Johanna Fiedler. His father was an Austrian violinist who played in the Boston Symphony Orchestra, and his mother was a pianist and musician. He grew up in Boston, and attended Boston Latin School until his father retired (in the early 1900s), and they moved to Vienna, Austria, in 1910. The family soon moved again, to Berlin, where from 1911 to 1915 young Fiedler studied violin at the Royal Academy of Music (Hochschule für Musik Berlin) under Willy Hess. Fiedler returned to Boston at the beginning of World War I. In 1915 he joined the Boston Symphony Orchestra under Karl Muck as a violinist. He also worked as a pianist, organist, and percussionist. Fiedler conducting the Boston Pops Orchestra in 1969. Fiedler was appointed the eighteenth conductor of the Boston Pops Orchestra in 1930. While the position of conductor of the Boston Pops both prior to and after Fiedler tended to be a phase of a conductor’s career, Fiedler made it his life’s work, having the position for a half-century. With Fiedler’s direction, the Boston Pops reportedly made more recordings than any other orchestra in the world, most of them for RCA Victor, with total sales of albums, singles, tapes, and cassettes exceeding $50 million. His recordings began in July 1935 at Boston’s Symphony Hall with RCA, including a world premiere recording of Jacob Gade‘s Jalousie, which eventually sold more than a million copies, and the first complete recording of Rhapsody in Blueby George Gershwin (with Jesús Maria Sanromá as soloist). In 1946, he conducted the Boston Pops in one of the first American recordings devoted to excerpts from a film score, Dmitri Tiomkin‘s music for the David O. Selznick Technicolor epic Duel in the Sun; RCA Victor released an album of ten-inch 78-rpm discs complete with photographs from the film. Fiedler’s June 20, 1947, recording of Gaîté Parisienne by Jacques Offenbach was eventually released by RCA as their very first long-playing classical album (RCA Victor LM-1001), in 1950. He recorded the same music in 1954 in stereo and began making regular stereo recordings in 1956. A number of Fiedler’s recordings were released as 45-rpm “extended play” discs, beginning in 1949, such as Tchaikovsky‘s Marche Slave and Ketèlbey‘s In a Persian Market (RCA Victor ERA-2). Besides recording light classics, Fiedler also recorded music from Broadway shows and Hollywood film scores, as well as arrangements of popular music, especially the Beatles. He and the Boston Pops occasionally recorded classical works that were favorites, but not considered as “light” as most of the pieces that he conducted. He made but a single recording with the Boston Symphony Orchestra: Dvorak‘s New World Symphony. There were also recordings of chamber music by his Sinfonietta. Fiedler and the Boston Pops recorded exclusively for RCA Victor until the late 1960s, when they switched to Deutsche Grammophon for classical releases with co-owned Polydor Records for his arrangements of pop music compositions and then London Records. His last album, devoted to disco, was titled Saturday Night Fiedler. Fiedler was also associated with the San Francisco Pops Orchestra for 26 summers (beginning during 1949), and conducted many other orchestras throughout the world. He was a featured conductor on several of NBC’s The Standard Hour programs in 1950 and 1951, conducting the San Francisco Symphony in the War Memorial Opera House; the performances were preserved on transcription discs and later released on audio cassette. Fiedler dressed for the part of a fireman for a show skit.Red Skelton is dressed as Clem Kadiddlehopper. Fiedler had many different hobbies. He was fascinated by the work of firefighters and would travel in his own vehicle to large fires in and around Boston at any time of the day or night to watch the firefighters at work. He was even made an “Honorary Captain” in the Boston Fire Department. A number of other fire departments gave him honorary fire helmets and/or badges. The official biography of Fiedler reports that the conductor once helped in the rescue efforts at the tragic Cocoanut Grove fire in Boston in 1942. An avid sailor, he volunteered during the early days of World War II for the Temporary Reserve of the U.S. Coast Guard and was later a member of the Coast Guard Auxiliary. 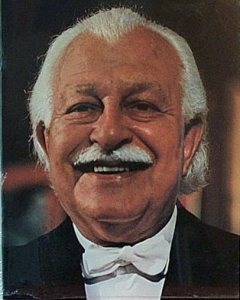 Fiedler conducted at the nationally-televised opening ceremonies of Walt Disney World in 1971. He also appeared on numerous telecasts on Evening at Pops, carried on PBS stations nationwide. On January 10, 1977, Fiedler was presented with the Presidential Medal of Freedom by President Gerald Ford. 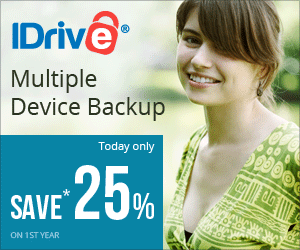 IDrive The BEST Cloud Backup Software! Sign up Here! The BEST Computer Backup System on the Planet! Sign up here, Support Classic America!